It was the day after Christmas, and Happy Meal had assembled and played with most of the toys. We were due for a break, so we drove down a traffic-free 405 to Manhattan Beach to check out the burger at Sandos Sub Shop. This place was getting raved about on Yelp and Chowhound. It was time for us to see if it was the real deal. Sandos Sub Shop was tiny-counter seating only--room for 6. They also had Connect Four--Happy Meal took me to school on that front. Sandos was a typical burger/sub stand. It was just a counter, a register, and a kitchen. The gas grill was tiny--about 3 sq ft, and they had a flat top for toasting buns and cooking onions and other hot sub toppings including cheese steaks. We ordered a couple of plain cheeseburgers with American cheese, an order of fries, and a couple of canned sodas--total $18.50. The Beef: Sandos Sub Shop burgers were made with 5 oz. patties of Estancia Beef. This was some of that fancy, free range, grass fed, no antibiotics, no pesticides, no hormones, no feedlot beef that makes some folks better about killing a cow and grinding it up into burger meat. The beef, much like the Chuck from Niman Ranch, came pre-ground, and like that other beef, it was relatively bland and very lean. The only taste that I got from this was iron. It was truly lacking in umami flavor or beefiness. They cooked the heck out of it, so it was not juicy either. The Sear: The sear from the gas grill was impressive. The grill was hot enough to impart a crunchy sear and some char, too. The char was not offputting, because the too large bun was sweet enough to compensate. The Seasoning: Nope...there was s shaker of sea salt within reach of the grill, but none of it made it onto the beef. The Preparation: The burger patties were pre-formed, and cooked under grilling weights on a blistering hot grill. This imparted great color and a uniform sear, but it pressed out all of the juices and fats from the patties, and it got them to a stern Well Done. The patties were not over-manipulated prior to cooking. so they were not rubbery, but they certainly were on the dry side. 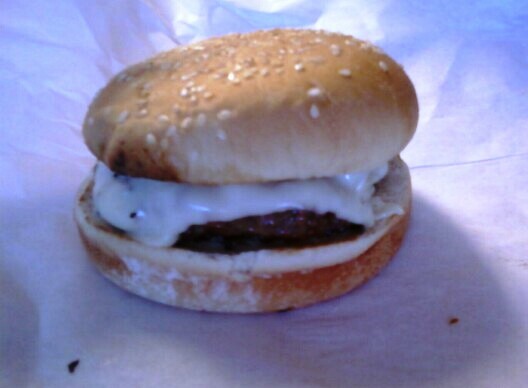 The Cheese: The White American cheese saved this burger from a failing grade. The cheese provided moisture, mouth feel, and salt. This burger absolutely required the salt and moisture from the cheese to be palatable. The Bun: This was a standard, seeded, hamburger bun. They toasted in on the grill--both side. The buns were on the dry/stale side, so the toasting robbed them of some much needed moisture. 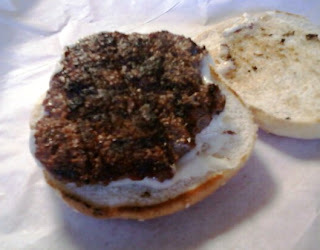 The Meat to Bun Ratio: The dryish bun was too much for the dry burger patty. The cheese put up a mighty fight, but it was also overcome by the large, stale bun. 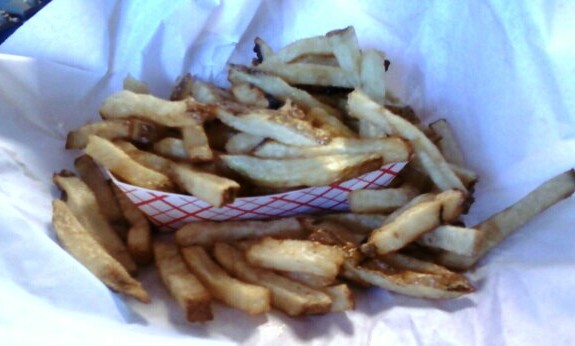 The Fries: These were peel-on, shoestring fries, which were cooked in canola oil. They hit them with sea salt, and the fries were piping hot. The fries were damn good. The Value: Meh...20 bucks with tip for a couple of dry burgers on a dry buns, a single order of fries, and a couple of drinks was a little more than one would expect for a meal of this quality in a joint like Sandos Sub Shop. In spite of the shortcomings in the preparation, the cheese took this burger from a failing grade to passing. I wouldn't go again, but I don't regret the visit. 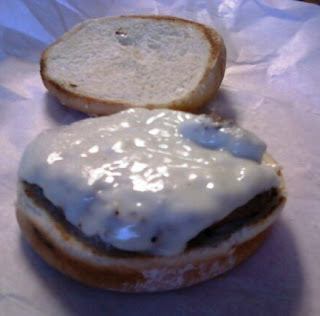 Burger Review : The cheeseburgers at Sandos Sub Shop were merely OK. The sear was great, but it came at the cost of juiciness. "This was some of that fancy, free range, grass fed, no antibiotics, no pesticides, no hormones, no feedlot beef that makes some folks better about killing a cow and grinding it up into burger meat. 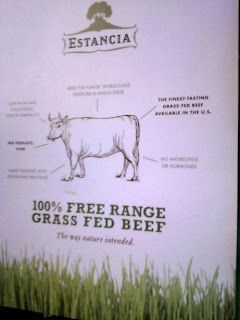 The beef, much like the Chuck from Niman Ranch, came pre-ground, and like that other beef, it was relatively bland and very lean"
- Some people really don't understand that non-commidity beef is not only to feel better how animals are treated but that it has a much more natural beef taste. Corn-fed beef is a pretty tasteless, artifically tasting meat which mainly impresses many people who never tasted normal tasting beef by its higher fat content and better "mouthfeel". 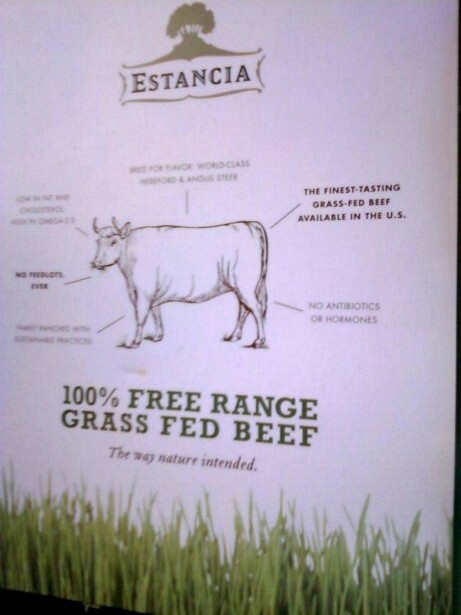 (You are aware that cows can't digest corn and that feeding them corn is very painful for them and one of the main reasons for the increased use of antibiotics).Just try good grass-fed Argentinian beef and good corn-fed US beef, the Argentinian beef easily wins in terms of taste. Your comments clearly show that you don't know much about meat and burgers. Just eating many doesn't make one an expert. Did I mention that the beef at Sandos Sub Shop was dry and bland? That was the real point, which I was making. As it turns out, most of the grass-fed burgers that one gets in the U.S. are bland and uninteresting. It sounds like burgers are fantastic in Argentina, though! Do keep in mind that cattle can, in fact, digest corn and other grains, but not in percentages above 70% of the total feed they consume. Granted, grains constitute a minority portion of their natural diet. Corn is fed to them to make them fat. Now, clearly they must be digesting some of the starches in that corn, or what would the purpose be of feeding it to them? You are right, feeding them a cheap and plentiful grain does tend to go against their nature, but it also keeps beef affordable. Market pressure does tend to drive the practices of industry. So it goes. Thanks for reading and participating. It's refreshing to see that people are finding us and paying attention.